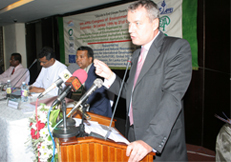 The SLEJF is an independent, public interest media organization established in 1987, with support from the Sri Lanka Government,UN-ESCAP,UNEP and Media related bodies. SLEJF’s mandate is to train, communicate and promote sustainable human development with equity, participation and democracy. It is the only organization in Sri Lanka to have won the coveted UNEP Global 500 Award. SLEJF emphasizes monitoring and coordination, vigorous advocacy of environmental education, public awareness, social justice principles and practical assistance programs. 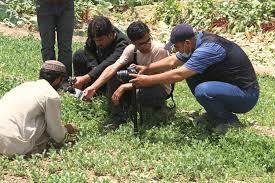 The EJF has developed special media training programs in environmental and development journalism, and since its inception, has has trained over 10,000 journalists. Our library of nearly 1,500 press clipping books has access to research CDs, DVD’s and other material. The SLEJF is the former President the Thailand based Asia Pacific Forum of Environmental Journalists (APFEJ), founding editor of the Paris based International federation of Environmental Journalists(IFEJ) and is also the founder of the Bangladesh based Commonwealth Environmental Journalists Association (CEJA) as well as the former Asian Director of the Environmental Liaison Centre International (ELCI), which is based in Kenya. SLEJF has a membership of nearly 1000 journalists. Our Secretariat receives the assistance of 11 full-time staff, 17 Consultants and many volunteers and we network with hundreds of environmental agencies around the world. Inclusive of the World Conservation Union (IUCN), the SLEJF holds membership in 17 international media and environmental organizations. It also holds membership in 27 state/community/UN environmental and media committees. At the same time, the EJF functions as the coordinator in Sri Lanka of seven active networks of international environmental & media organizations. As much as 931 local NGOs & CBOs, 1123 school environmental clubs, 2973 schools and 2918 public libraries maintain direct contact with the Sri Lankan EJF. 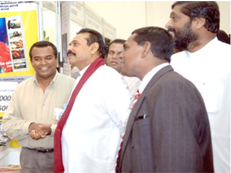 SLEJF Editor explains its activities to Sri Lanka President HE Maninda Rajapaksha.